Chromium is a legitimate open source browser. However, malware developers dishonestly use its name, and there are several notorious “fake” Chromium-based browsers. If you suspect that you have become a victim of a malicious browser, you had better uninstall Chromium. Read the article to learn two ways of Chromium removal. How to uninstall Chromium browser manually. 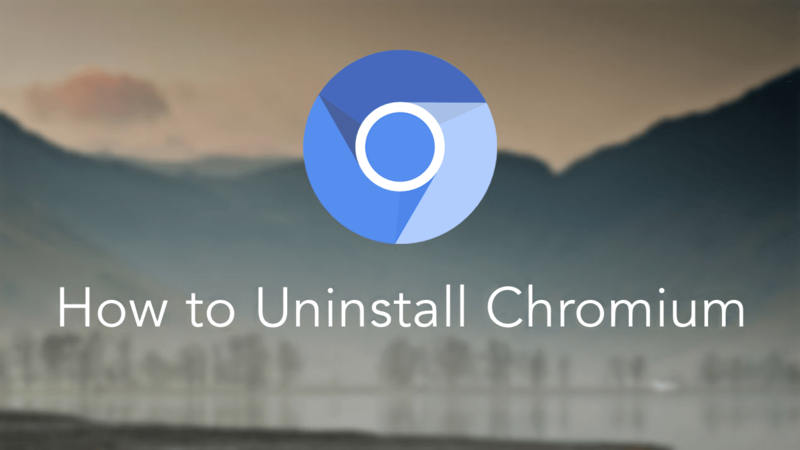 How to uninstall Chromium with uninstaller tool. Quit Chromium and close all processes that might be related to the browser and run in the background. 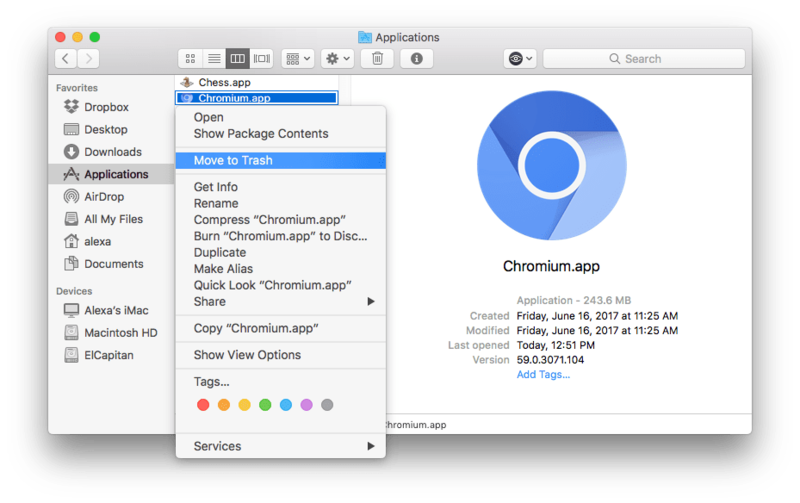 Go to Finder → Applications Folder → delete Chromium (select Move to the Trash option in the context menu). Now it’s time to get rid of its leftovers. You might know that when you move applications to the Trash, all their service files still remain on your Mac. So here is how to find these useless space-eaters. Open Finder → go to Menu Bar and click Go → select Go to Folder → type ~/Library→ click Go. Learn more ways to get to Library Folder quickly . 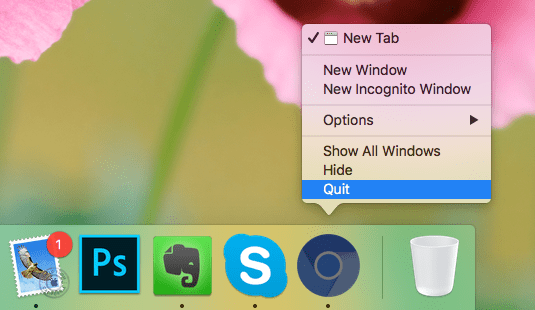 You should follow these steps each time you need to uninstall an app on Mac. However, there is a faster and easier way to uninstall apps. You can do it in just one click with the help of a special software app called App Cleaner PRO. 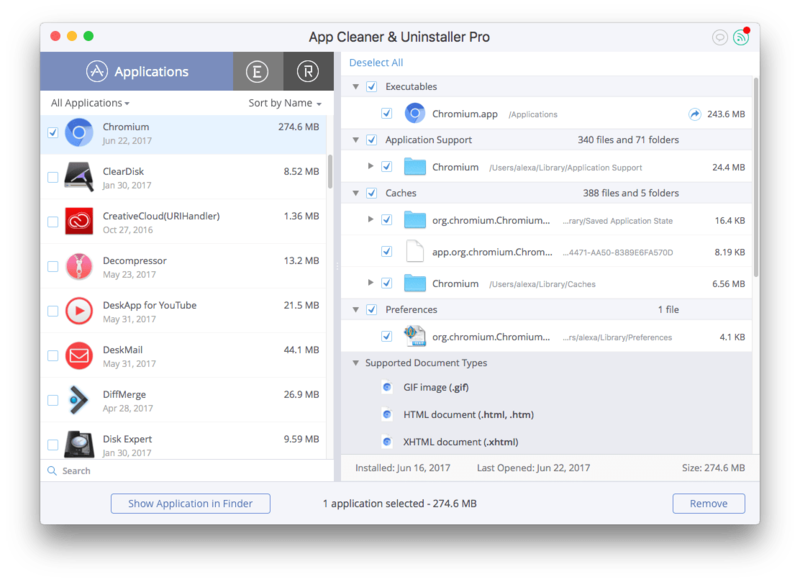 App Cleaner & Uninstaller is a removal tool for apps on Mac. It allows you to uninstall any app, including Chromium, and to manage extensions. You can use it to clean up your Mac of unneeded service files. To uninstall Chromium browser, launch App Cleaner → find the Chromium app and select all its files → click the Remove button. As you can see on the screenshot, App Cleaner & Uninstaller finds all the support files of any program installed on your Mac. App Cleaner & Uninstaller supports more than 1000 applications.